The Next Generation ElectraValve is here and has it all. This electrified inlet’s new design allows the valve to be installed at any distance from the electrical box. 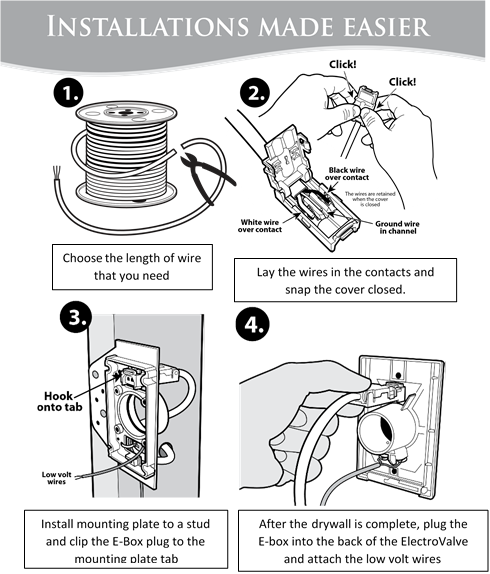 By using your own wire supply, 12 or 14 gauge, you can choose any length of wire you need. 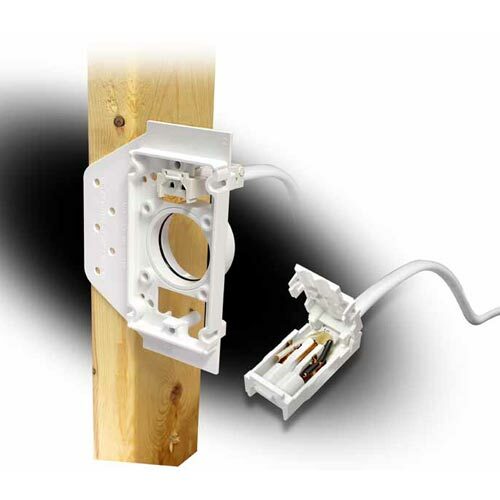 This is beneficial especially with retrofits that require Romex tails longer than 14 feet. Long gone are the days of being limited to the supplied wire lengths and wasting excess Romex. The people at Canplas have really thought this product through. Not only will you have to stock 1 rough in kit instead of 4, your required bulk Romex is cheaper than the short lengths included in the old kits. This simple 4 step process will save time and money when installing or retrofitting a central vacuum system. This is all you need to do. If you have more questions or would like to purchase this product, please contact our friendly experts.